UDI Juan Rosa taking the lead among the pack. 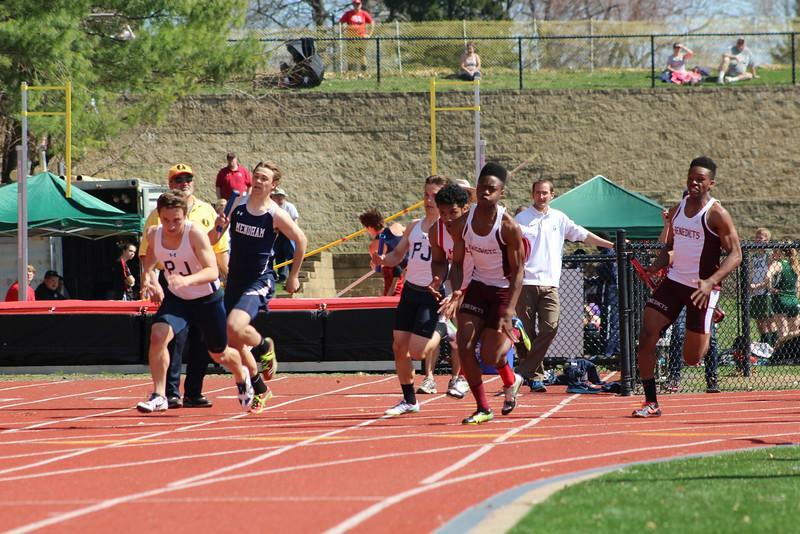 This spring the track team is back on track after a sluggish indoor winter season. The track team placed ninth at the Essex County Championships, an event they had won for five straight years. According to Mr. Alfano the spring season has been a lot better. As runners improve, what really excites him is the attitude and mentality that the track runners have. Mr. Alfano said, “Guys are showing up everyday… from all angles things are doing a lot better.” And team members agree. Scott said the team goes to practice and races with intense concentration. Although the team could laugh and joke around after practice , he said races are not a joke. “Races are a business trip; we come to handle business,” Scott said. Benjamin credits the team’s improvement to the new workouts and coaches who have been consistent in enforcing their work ethic. 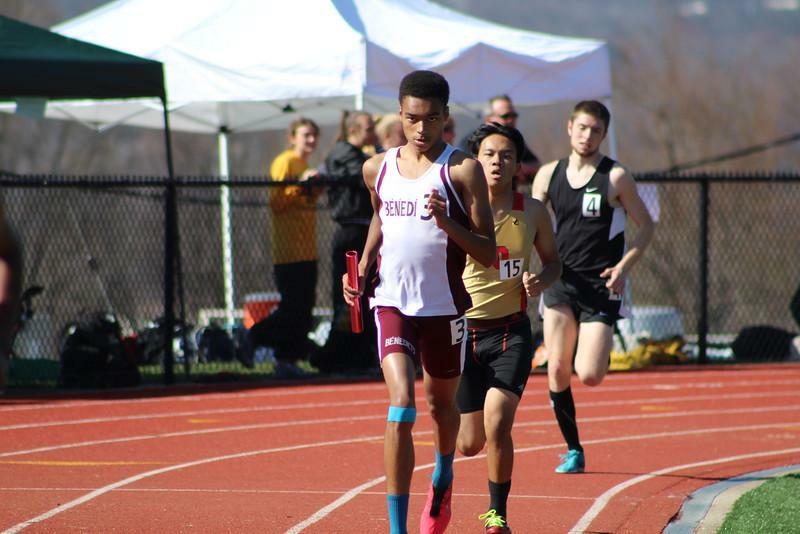 Even though the team has not won a race yet, Benjamin believes it has a fighting chance to win Essex County Relays and State Preps. The track team has qualified for nationals in the 4X100 and 4×200. The team’s chemistry has improved immensely since the winter season.